The Terps wrapped up their summer seasons last week, with many players performing nicely while getting valuable at bats and innings. RHP Mike Shawaryn continued to state his case as one of the top collegiate pitchers in the country, pitching in the high-profile Team USA rotation this summer. He made three starts and one relief outing against primarily international competition, which included teams from Cuba, Canada and Chinese Tapiei. C Nick Cieri had a terrific summer in the Cape Cod League, the nation’s top collegiate summer league. Cieri batted .319 over 30 games for the Wareham Gateman, earning the starting nod at catcher in the Cape Cod League All Star Game. You can hear more about Nick’s outstanding summer season on MBN’s August podcast, which debuts later this week. RHP Taylor Bloom also had a breakout summer pitching for the Gaithersburg Giants of the Cal Ripken Collegiate Baseball League. Bloom went 3-0 with a 1.76 ERA over six outings, striking out 38 batters and walking only two (READ about his 16 strikeout performance). Bloom was named to the CRCBL All-Star team along with Gaithersburg teammate Ryan Selmer, who pitched 16.1 innings this summer, striking out 16. John Mazza also played for the Giants, catching 22 games this summer. 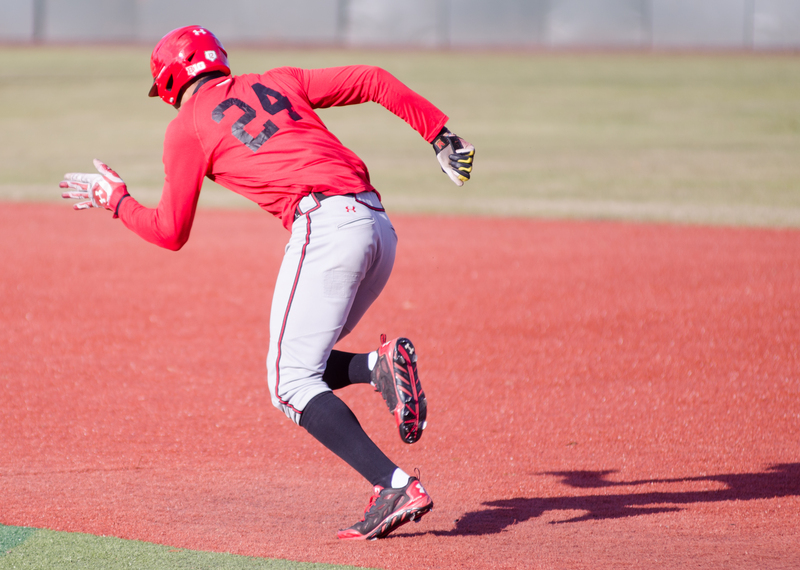 Andrew Bechtold returned from injury this summer and got back the at bats he lost this spring. C/1B Justin Morris also played in the CRCBL All-Star Game, earning a spot while playing 30 games for the Bethesda Big Train. 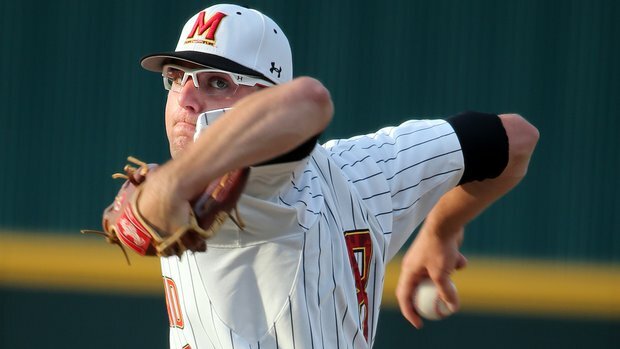 Morris’ Big Train teammate and Terps RHP Mike Rescigno may have had the best summer of any Maryland reliever, dominating the CRCBL to the tune of a 1.80 ERA over 19 outings. Rescigno was a vital piece of Bethesda’s postseason run, allowing only one run in four playoff appearances. On the summer, Rescigno allowed only eight hits in 20 innings of work. INF Andrew Bechtold was the third Terp to don the Big Train green, returning from injury to reach base 23 times in 19 games. Three Terps spent their summers in Baltimore, playing for the Ripken League’s Baltimore Redbirds. OF Zach Jancarski was a key part of the Redbirds’ championship run, batting .274 over 31 games. Jancarski’s summer was highlighted by his speed, as he stole 16 bases, good for top-10 in the league. Jamal Wade appeared in four games for Baltimore, while incoming freshman Marty Costes batted .259 with 14 RBI and seven stolen bases. Costes showed good power for an 18-year-old, registering 10 extra-base-hits, good for a slugging percentage of .411. Costes wasn’t the only high school graduate to impress in the Ripken League. Infielder Nick Dunn led all Maryland hitters by batting .321 for the Silver Spring/Takoma Park T-Bolts. He drove in a team-high 17 runs and struck out only six times in 31 games. Dunn reached base better than 40 percent of the time and finished top ten in the league with 36 hits. Check back in with MBN later in the week for Matt Present’s piece on Dunn’s breakout summer. Incoming commit AJ Lee teamed up with Dunn on the T-Bolts infield, drawing 11 walks, stroking 18 hits and stealing eight bases in 22 games. Incoming JUCO transfer Brandon Smith represented Maryland on the Baltimore Dodgers. The infielder from New Jersey tallied 30 hits and scored 14 runs against Ripken League competition. Smith will join MBN on the upcoming podcast as well. Two other Terps left the area for summer ball, enjoying the season away from home. INF Pat Hisle played 30 games for the Albany Dutchman of the Perfect Game Collegiate Baseball League, spending his time in upstate New York. RHP Andrew Green headed south, notching a 2.53 ERA in nine outings for the Wilson Tobs (NC) of the Coastal Plains League.